Marriage counseling can help to change your relationship patterns into dynamic interactions where your Marriage thrives. Sessions are designed to generate an understanding of the viewpoint of the partner. From this understanding we work together to build the relationship by a blending of the strengths and weaknesses of each partner. Success is achieved by a consistent working through of issues, each time with the partners taking more responsibility with the tools that they have learned from previous sessions. I have helped many couples, and I can help you. Dealing with trust, commitment, communication, multicultural issues, and intimacy can challenge any relationship. I would like to help you with your concerns today. I am a Licensed Marriage Family Therapist, and have a Doctorate Degree in Psychology, with an emphasis in Marriage and Family Therapy, from CGI of the Chicago School of Professional Psychology. “Dreams compensate the one-sidedness of the conscious view, that is, it relates a message which is unknown to the dreamer but is potentially vital, and in need of being known” (Whitmont, 1991, p 38). Welcome to My Mid-Life Dream Journal. This work originated from my 2009 Doctoral Dissertation, A Jungian Oriented Treatment Plan for Mid-life Women’s Liminal Phase Transition into Mid-life. My continued interest in the Mid-Life Transition, as well as my own Mid-Life experiences, emerge at a time that Mid-Life is again being redefined. Some consider the new Mid-Life age to be 70. We live at an exciting time when Aging Women continue to begin new careers, earn degrees, begin new businesses, compete athletically, and more. What will your experience be? What if, by becoming aware of your inner world, you learn, that the messages contained in your Dreams could change your entire life? What if your dream’s message to you, only makes even a small change possible? Are you ready to begin? Dream Work releases unconscious material, that can help you transition into, and through mid-life. Carl Jung held that, in the second half of life we have the potential to become who we were meant to be. He called this Individuation. It’s how we separate from what others told us we were, to become our true selves. Our dreams can be our guide if we learn their language. Pre-liminal phase – Experienced as a loss of her previous identity, only it’s unconscious at the beginning, she is unaware. Instead she may complain of forgetfulness, depression, and/or a general feeling that her perceptions are lacking clarity, so she doesn’t trust her decisions. She may lose interest in her marriage and/or her job, or anything that has been the central focus of her life up until this time. Liminal phase – Awareness begins when a woman realizes she no longer has the identity of her younger adulthood. She is temporarily held in an ambiguous place, not really sure of her identity. “The structural ‘invisibility’ of the liminal personae has a twofold character. They are at once no longer classified and not yet classified” (Mahdi, 1987, p 5). This liminal phase of transition holds the potential for new discoveries as mid-life women seek their destiny. Post-liminal phase – Reincorporation of a woman’s NEW identity occurs in this third phase. This is when the confused and lost woman has transitioned into her new identity. She will have integrated her past, mourned her youth, and she accepts moving ahead with new challenges. Her perceptions have focus, and once fully reincorporated she may actually thrive in her new Mid-life identity. June Singer, a Jungian Analyst, explained that the persona (your persona is the face or mask you show to the world), is usually involved in the presenting problem of a woman seeking therapy. For example, if you were coming into therapy you might complain of not feeling like yourself. You might indicate that the person you show to the world differs from how you perceive your own personality. In other words, we are talking about your identity in your world. The work here is to remove your mask, and removing your mask involves Dream Work. Working with your dreams to identify your identity issues, will help you express an identity that is in alignment with how you feel inside. You will become authentic in an empowering way that will enrich your Mid-Life years. Dream Work helps to unmask the persona by bringing it into conscious awareness. Your unconscious holds within itself all the information needed to understand your dream. The language of your dream is highly symbolic; and the link to understanding these symbols is within you, the dreamer. Robert Johnson relates two basic assumptions regarding the functions of dreaming. First, you, as the dreamer need to realize that your dreams are an expression of your own unconscious mind. Next, the images in your dreams are your own symbols, and should not be taken literally (1986). Edward Whitmont, a Jungian Analyst, states that a dream represents the dreamer’s situation as it currently exists. Singer advises that when evaluating a dream it is helpful to notice where the strongest feelings are, and what elements in the dream stand out as most impressive. You could ask yourself what the setting suggests, and how the characters in the dream reflect aspects of your own being that may be unfamiliar. It would also be important to look at the role of the person in the dream that represents you (This is the dream ego). Create a ritual (You could draw your dream to make it come alive). Remember, as stated earlier, your unconscious holds within itself all the information needed to understand your dream. The language of your dream speaks in symbols that are meaningful to you. It is important to remember that the symbols represent the parts of you, and the dynamics within your inner life. From Marion Woodman’s (1992), Leaving my father’s house. Dream – I am spring-cleaning my bedroom clothes closet. I appear to have put all my old clothes and shoes in large, green garbage bags but left the bags in the back of my closet. Today I am taking the bags out. It surprises me how big the closet now is. I notice a staircase at the very back corner. To my delight it leads to an undiscovered tower room made of wood. I have always known that this room existed but I could never find the opening to it. With great joy I climb the stairs. The room is magnificent. It is an open square space with huge windows on all four sides. The sunlight streams in the curtain less windows. Nothing clutters the natural hardwood floors. It is the space I have always longed for, the space I can go to whenever I want. The symbol of spring- cleaning means that a new possibility is being born. The old clothes (persona) and the old shoes (standpoint in life) were put in garbage bags (made conscious of but held onto). Now I am throwing the bags out (letting go of old patterns of behavior) and creating a new psychological space. The staircase (ego-self axis) leads to a square room with wooden floors (place of feminine wholeness). Here sunlight (consciousness) streams through the window (outlook). The floor (a new place to stand) is uncluttered. I have taken the suggestions of these Jungian analysts to create this journal, which was originally created in my 2009 Dissertation, and I have referenced their work for your further reading, on my website http://www.drmariekerns.com The purpose of this Dream Journal is to access your unconscious material, which will appear symbolically in your dreams. It is suggested that a series of five dreams be recorded for the purpose of developing a theme. A theme can alert you to a direction your life is currently headed. 5. What elements in the dream stand out as most impressive? Make associations to each element (can be personal, cultural, & or archetypal). An archetype is a predetermined pattern of feeling and/or thinking common to the entire human race. For example, if you dream of your personal mother or father your dream could relate to them on a personal level, or archetypally to your Goddess or God. 7. Relate the dreams message in the context of your life. As a couples counselor in Irvine, California, I hear these complaints, or similar ones quite often. Yes, the same phones that make our lives a lot easier, also make it easier to have an affair. This is a difficult discovery for my clients, and I make it a priority to clarify and affirm them at this time of betrayal. First, we clarify the truth of their perceptions and once clarified, the betrayed partner requires support and affirmation along with skills that empower them. Couples usually come into counseling with me feeling frustrated and misunderstood by their partner. A betrayal is a total disconnection and involves a reality shift. This reality shift leads to arguing, hurt, and anger. Without counseling, their thoughts eventually shift to dissolving the relationship. Miscommunication about the breach of trust, leads to further issues in their relationship. Couples Counseling after a betrayal, can help you and your partner have an improved relationship. We will explore the meaning of this transgression, and what led up to it. In my experience the couples that are committed to therapy and each other work through the healing process, and then create a stronger relationship bond than they previously had. Their old relationship destroyed and the new one takes its place. This time built on more openness and truth. Here are my 3 steps to healing after a betrayal. 1. Accepting the relationship is a lie and allow for time grief and healing. 2. Disclosure of transgressions to enable trust to begin. 3. Discover a new relationship built on a strong foundation. This process begins when you make that first call. 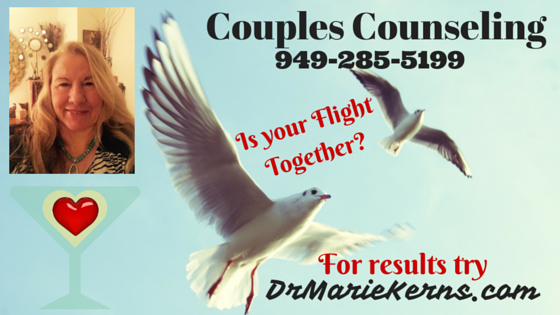 I’m Dr. Kerns and I am an Experienced Couples Counselor. Couples counseling can help to change relationship patterns into dynamic interactions where relationships thrive, even after a betrayal. Sessions are designed to generate an understanding of the viewpoint of the partner. From this understanding we work together to build the relationship by a blending of the strengths and weaknesses of each partner. Success is achieved by a consistent working through of issues, each time with the partners taking more responsibility with the tools that they have learned from previous sessions. 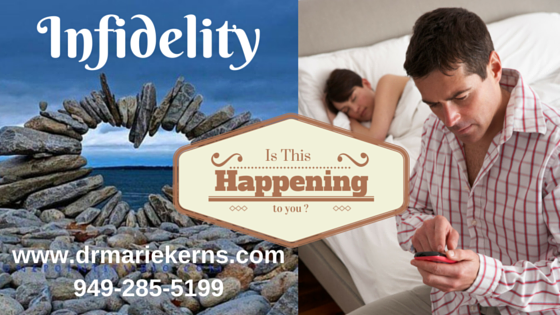 I have helped many couples heal and discover meaning, and I can help you. Are you feeling put out in your relationship with a Mid-Life Woman? What is going on? Understanding the dynamics of a Mid-Life Transition may help you manage your relationship. A woman transitioning the liminal phase of mid-life is lost. She lacks the identity of her young adulthood, and for awhile is held in an ambiguous period, not really sure of her identity. Many women change careers, have affairs, or go back to school. This may be brought on by the death of a parent or a child leaving home. This change in family structure many times, will begin a women’s search for meaning and purpose in her life. 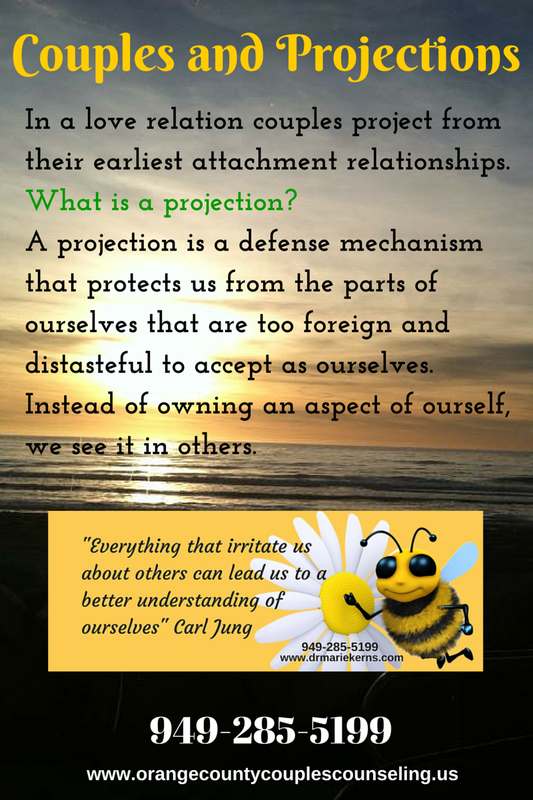 This seach can lead to positive or negative change. The changes made at this time will redefines who they are. 1. Pre-liminal phase – Experienced as a loss of her previous identity, only it’s unconscious at the beginning, she is unaware. Instead she may complain of forgetfulnes, depression, and a general feeling that her perceptions are lacking clarity, so she doen’t trust her decisons. She may lose interest in her marriage and her job, or anything that has been the central focus of her life up until this time. 2. Liminal phase – Awareness begins when a woman realizes she no longer has the identity of her younger adulthood. She is temporarily held in an ambiguous place, not really sure of here identy. “The structural ‘invisibility’ of the liminal personae has a twofold character. They are at once no longer classified and not yet classified” (Mahdi, 1987, p 5). This liminal phase of transition holds the potential for new discoveries as mid-life women seek their destiny. 3. Post-liminal phase – Reincorporation of a woman’s NEW identity occurs in this third phase. This is when the confused and lost woman has transitioned into her new identity. She will have integrated her past, mourned her youth, and she accepts moving ahead with new challenges. Her perceptions have focus, and once fully reincorporated she may actually thrive in her new Mid-life identity. “So many times Couples will say the most awful things about their partner.